Instructions for Parachute Cord bracelets using the Square Knot (a.k.a. the Cobra Stitch). Makes both a single-color or duo-tone bracelet. 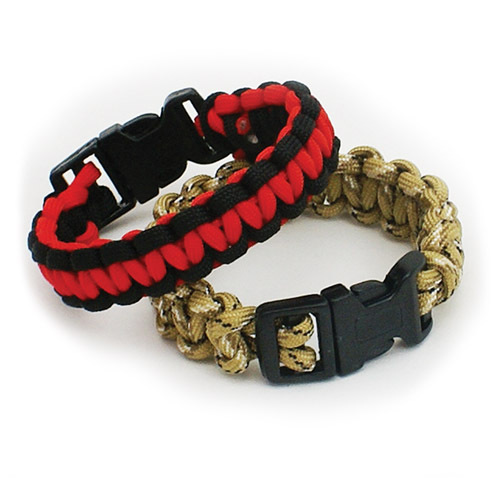 Use with any Parachute Cord thickness for a slightly different look. The directions can be downloaded from here.